Pineapple Chunk, bred by Barney’s Farm, is an indica-leaning hybrid that induces heavy full-body effects and a fast-paced head buzz. This THC-rich strain combines a Cheese and Skunk #1 cross with Barney’s Pineapple, and you can almost smell its lineage through sour notes of tangy skunk, earthy cheese, and sweet pineapple. Optimally, Pineapple Chunk will deliver a small dose of CBD with its crushing THC content, resulting in powerful painkilling and stress-relieving properties. 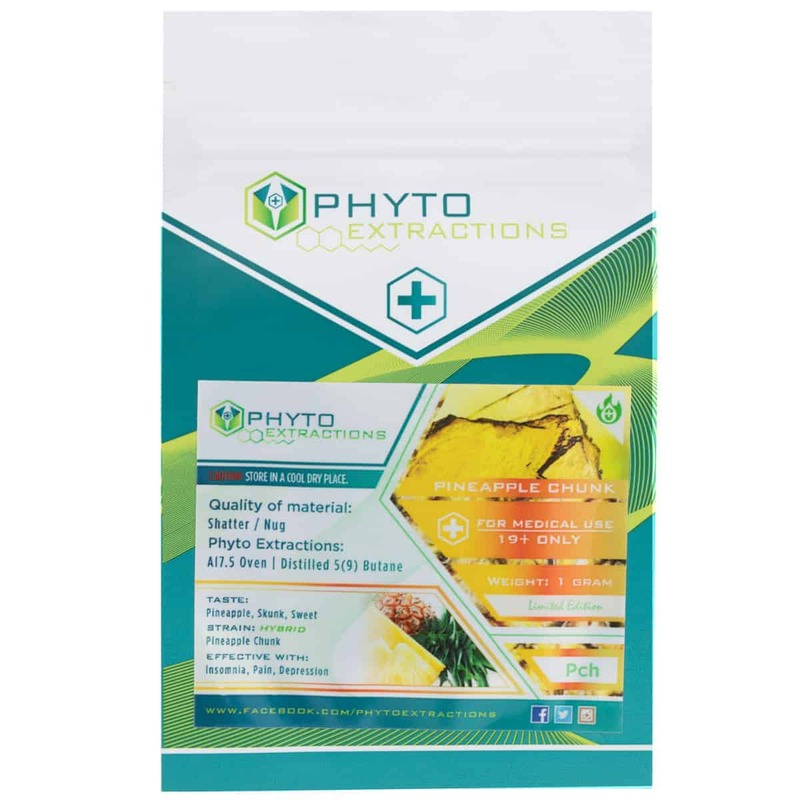 5 reviews for "Phyto – Pineapple Chunk – Hybrid Shatter"
I didn’t taste pineapple at all, high was good. Was stable solid shatter , Yellow in color.